Because Hadoop lacks the native functionality to exploit the spatial component in Big Data, Esri designed GIS Tools for Hadoop and Geoprocessing Tools for Amazon Web Services (GP Tools for AWS) to extend the platform with utilities for spatially operating on billions of records at a time. 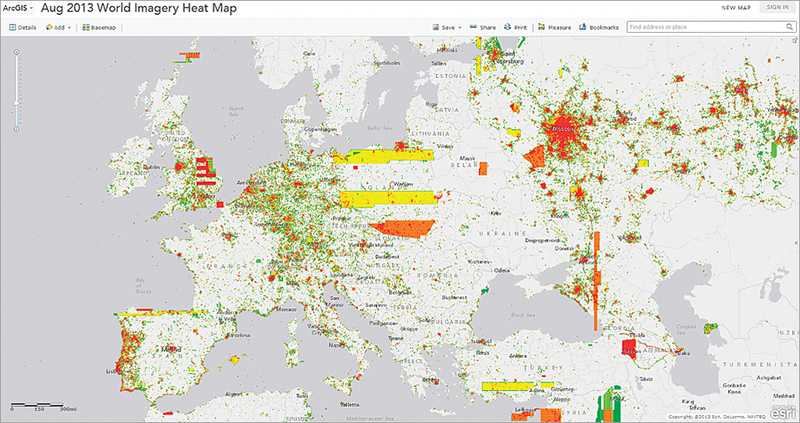 The tools were released last year and are available on Esri’s GitHub space. 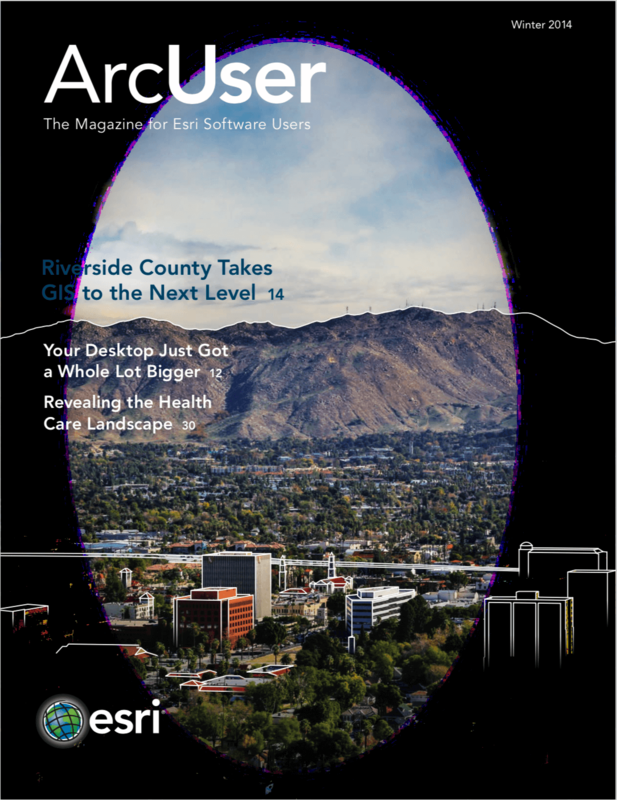 A couple of team members, who had minimal Hadoop experience and little knowledge of Big Data analytics software and processes, were given the Esri Big Data tools to work with the ArcGIS Online log data. The goal was to see if every step in the traditional RDBMS cycle of data analysis (e.g., filtering, aggregating) could be extended to the Big Data analytics sphere. That turned out to be the case: every component of the “small” SQL analysis was analogous to the Big Data environment of Hadoop. For example, Hive is a component of Hadoop that allows users to make their queries in a SQL-like language called Hive Query Language (HQL). Elastic Map Reduce (EMR) allows users with limited experience to take advantage of Hadoop’s capabilities because it is hosted and managed in the Amazon Web Services (AWS) cloud. It also uses Simple Storage Service (S3) to store the data, which simplifies the operations side of storing the log files for analysis. By using EMR and S3 in AWS, the team didn’t have to invest time building or maintaining a Hadoop cluster. Team members just started the EMR cluster when they needed to execute analysis and turned it off when they didn’t need it anymore. Using Hadoop, the team wrote scripts to comb the log data collected from Esri’s servers and calculate and filter the needed information from them. The project used GIS Tools for Hadoop to geospatially enable Hadoop as part of the GP Tools for AWS implementation. GP Tools for AWS leverages AWS by allowing ArcGIS users to run analyses on log file data loaded in S3. 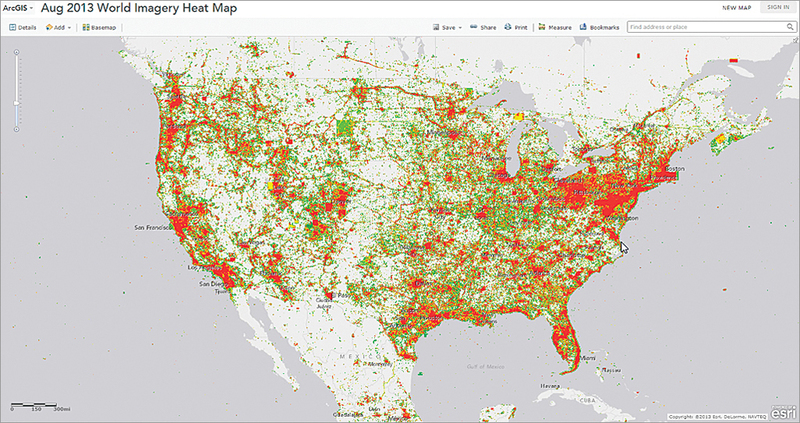 For more resources and information on geospatially enabling Big Data, visit Esri’s Big Data resource pages. Marwa Mabrouk is the Cloud and Big Data Product Manager at Esri.